We've heavily reworked the content type editor in the Contentful web app. 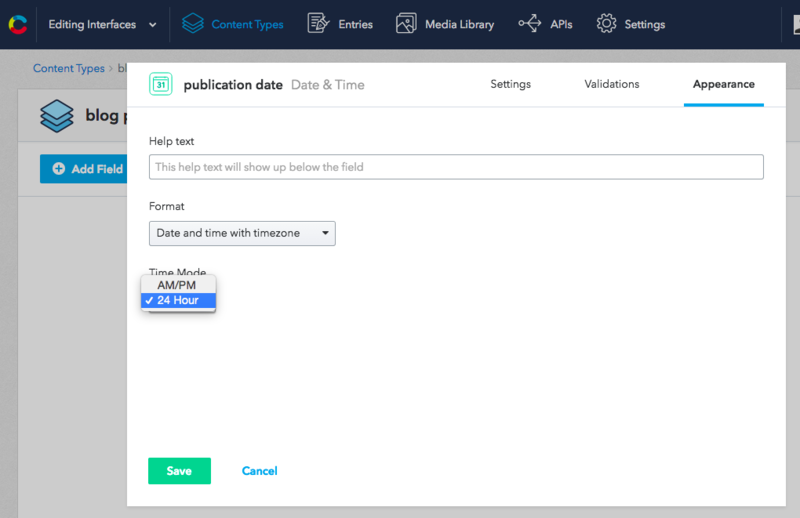 The overall goal of this update is to make editorial content teams more productive by giving them better tools to set up the content structure and customize the interface for the writing experience. The update introduces new, better ways to create content types, create fields, and customize the editor. This change affects mostly content architects — the people who put their thoughts and effort into structuring and organizing the content. A lot has been changed, and we hope you'll love it. It would pay to spend a minute looking at how things work from now on. We've put together a couple of GIFs, so you can actually see the changes. The goal of this update is to simplify the process of creating content types and setting up the fields (we like to refer to this process as content modelling). The workflow now is clearly split in two different sections – creating a content type is a first step, and populating it with fields is a second step. There is no more confusion and overlap. Another important part of the update is that the new field editor enables customization. Now you can move the content guidelines directly into the CMS. We understand that every project is somewhat different and that editorial requirements can greatly vary across projects, so we want to give you more freedom in customizing the authoring experience. For instance, you can adjust the size of a text field depending on the expected amount of text, or set the preferred format of date and time. The overall idea is to make content teams more productive: the CMS should work the way the editors expect it to work, not the other way around. Some of the improvements were inspired by Eileen Webb's Training the CMS piece which we fully agree with.